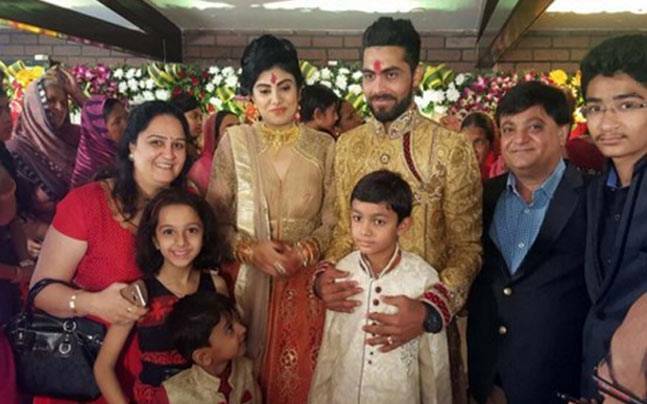 The Indian Spinner “Sir Jadeja” got engaged with Riva Solanki on March 18, 2016. The ceremony was held in Jadeja’s own restaurant “Jaddu’s Food Field” at Rajkot. The one of the eligible bachelors of Indian cricket team is soon going to join the club of married cricketers. 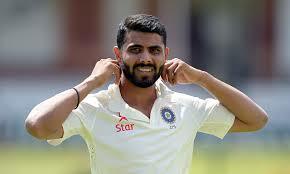 Jadeja reveals that “the lady luck will help him to organize his life better. He will be able to do better in professional and personal life. Only a few selected guests were invited to the engagement ceremony. He invited his Saurashtra Cricket teammates to join the Engagement ceremony but they were absent in the ceremony because of a match against Vizag team. Her Partner Riva Solanki is a mechanical engineer by profession and doesn’t have much interest in cricket. But, she will now watch the game for Jadeja. He said, “My schedule is very tight but i will somehow manage the time for marriage”. He said, “He is concentrating on his performance and t20 world cup. 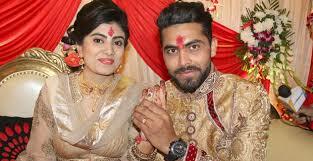 We wish a good luck to Jadeja and her partner for future.